Can I see your boarding pass Sir? Thank you. Your passport please? Time to get confused with the new BlackBerry Passport. BlackBerry is really doing it this time by re-branding themselves just like they did few years ago with unique products such as bold, storm and curve series. This might also be the way to the top and return where they used to be before the touch screen smartphone era. The Canadian tech company announced its new super wide smartphone with the catchiest name in the market, that its size (and obviously the name) reminds you of a passport. It is the first smartphone with wide, passport-like dimensions, offering a great alternative to the consumer who wishes to purchase a unique high-end device while at the same time it is greatly differentiating from any traditional smartphone. The specifications of the new BlackBerry flagship are not yet announced apart from couple of them which are already known. It comes with a 4.5” touch screen (1440 x 1440, 452ppi) and it is rumoured to be equipped with a quad-core processor Qualcomm Snapdragon, 3GB RAM memory, camera 13MP, front facing camera 2MP and an impressive 3450mAh battery. 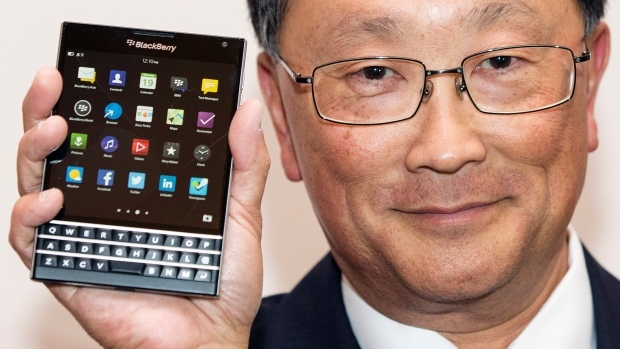 The new BlackBerry Passport will be available in fall 2014 with no price disclosed up till now.